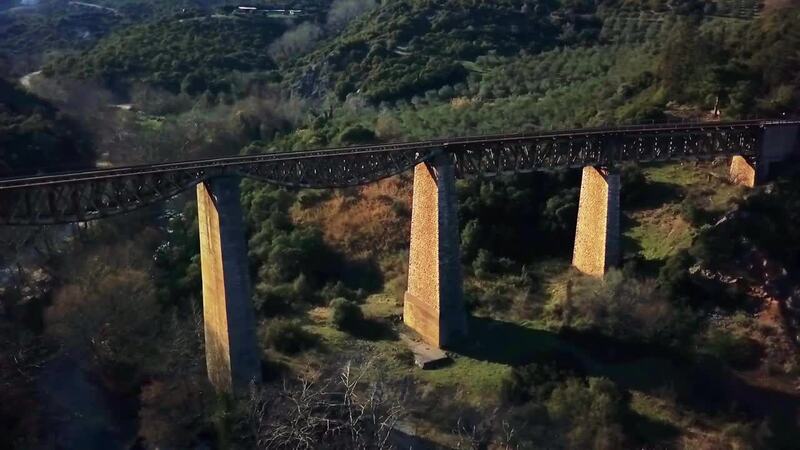 Moses B. created this beautiful drone video of a historic bridge in Greece. Gorgopotamos Bridge spans the river of the same name in Phthiotis, a region of Central Greece. After Nazi Germany conquered Greece in the Spring of 1941, the bridge became crucial in the German struggle to keep its North African forces supplied. In November, 1942, Greek resistance forces, aided by British special forces, blew up the bridge as part of Operation Harling, one of the war's great special ops successes. Description: The Gorgopotamos bridge, built in 1905, put the Gorgopotamos village on the map for the strategic purpose the bridge played during World War II.The name of Gorgopotamos became famous during World War II, when 150 Greek partisans,blew up the railroad bridge over the Gorgopotamos river on November 25, 1942 as part of Operation Harling and cut off the enemy-controlled route between Thessaloniki and Athens.The blast ruined two of the six piers of the bridge. In an act of reprisals, the German occupation forces executed 16 Greek locals. The area around the bridge has been designated a national monument.